Dr. Cho is a Professor at Sungkyunkwan University. His research areas are inflammatory and cancer signaling and development of anti-inflammatory and anti-cancer remedy from natural resources. His current research interests are to understand oncogene-related signaling cascade in cancer and inflammatory cells and figure out the molecular mechanism of anti-inflammatory and anti-cancer actions of naturally-occurring components. He is working as Editor-in-Chief of Journal of Ginseng Research (IF = 4.0) and a director of Research Institute of Biomolecule control sponsored by National Research Foundation Korea. He received a B.Sc. in Genetic Engineering from Sungkyunkwan University and M.Sc. (Genetic Engineering, Sungkyunkwan University) and Ph.D. (Molecular Immunology) from University College London in 2001. After his Ph.D., he worked as a postdoctoral fellow in Washington University. Before his moving to Sungkyunkwan University, Dr. Cho was an assistant and associate professor of Kangwon National University for 8 years from 2003. He has published 400 peer-reviewed papers and 150 registered and applied patents. Professor LEUNG Ping Chung, OBE, JP, Hon DSSc, DSC, MBBS, MS, FRACS, FRCS(Edin), FHKCOS, FHKAM(Orth); is Emeritus Professor of Orthopaedics & Traumatology, Faculty of Medicine; Director of Centre for Clinical Trials on Chinese Medicine, Institute of Chinese Medicine; Director, The Hong Kong Jockey Club Centre for Osteoporosis Care and Control, The Chinese University of Hong Kong,1996-2013; Director, Partner State Key Laboratory of Phytochemistry and Plant Resources in West China (The Chinese University of Hong Kong); Hong Kong Ambassador, Metronomics Global Health Initiative (Since 2016). He is also the Past President of the International Research Society of Orthopaedic Surgery and Traumatology (SIROT), 2009-2012. Professor Leung’s research areas including Orthopaedics, Osteoporosis, Microsurgery, Public Health, Traditional Chinese Medicine and General Education. He is also the author of over 800 scientific manuscripts in journals and 27 books. Professor Leung has been appointed as editor of 11 International Journals since 1982. He is trying hard to develop a research methodology basing on modern clinical science requirements, to modernize on Traditional Chinese medicine. Currently he is working on projects related to aging and neurodegeneration, which initiated his enthusiasm searching for wisdom from other well-established traditional medicine regions in the Middle East and South Asia. Dr. S. Narasimhan, recipient of the Tamil Nadu Scientist award, obtained his Ph.D. in Chemistry, from the University of Madras. He is currently the Founder Director of Asthagiri Herbal Research Foundation, India. His research has resulted in the selective extraction of more than 25 natural products, development of ~12 herbal products for healthcare including common and metabolic ailments; synthesis of 90 new chemical entities as drug leads for diabetes, cancer and inflammation. Currently focusing on ayurvedic concepts (anupana) in developing food products for general up keep of health. He has so far guided 40 PhDs and 1 more are currently pursuing research in Chemistry and biotechnology. He has published more than 120 papers in National and International Journals, applied for 30 patents, conducted 3 international conferences. He has also established collaborations with Indian and Foreign Institutions for conducting research. Dr. Narasimhan is a well recognized and reputed Scientist and academician known for his dedicated work. He has been serving as a Member in the Advisory committees of DST for NCNR, FRLHT and several Institutions. Has been recognized as a Leader in the field of Pheromone technology and served as a Chairman of the committee for guiding Plant Protection department for pheromone registration. He also served as the Task Force Member of the Department of Biotechnology, Ministry of Science and Technology. Development of Herbal Products, Extraction of Natural Products, Development of healthy food products. Professor Kelvin Chan was initially trained in Pharmaceutical Industry; further developed in clinical pharmacology, drug metabolism and pharmacokinetics at medical schools in University of Birmingham (PhD & DSc) and University of Liverpool (Post-doctor fellow), United Kingdom, Finders Medical School in Adelaide, Australia and Karolinska Institute in Sweden; started interests in R&D of traditional Chinese medicine since early 1990s at the Chinese University of Hong Kong. He has taught medicinal pharmacology in universities in the UK, Hong Kong, UAE and Australia. Currently he is Visiting Professor of Natural Products and TCM Research at Liverpool John Moores University, UK and Adjunct Professor in TCM Research at University of Technology Sydney and Western University in Australia. He has published 3 specialist books on Chinese medicine, over 600 hundred publications including keynotes/conference presentation, drug monographs, and peer-reviewed papers (259) in conventional medicine and TCM. His present research directions focus on quality control and R&D of Chinese medicines and natural products using technology developed from systems biology, and patient-reported outcomes (PROs) using TCM specific QOL instrument linked with biomedical parameters in clinical studies. He has supervised and co-supervised 34 postgraduates (26 PhD and 8 MSc/MPhil). He is presently member of the following boards/committee: International Advisory Board and Scientific Committee of the Hong Kong Chinese Materia Medica Standards, Department of Health, Hong Kong (Feb 2002 to present); WHO Temporary Advisor on Training Course of Quality Control of Herbal Medicine (2013 to present); Board of Directors of the Good Practice in TCM Research Association (2012 to 2016); Expert at the TCM Working Group of the European Directorate for Quality of Medicine & Healthcare, in Strasbourg on monographs for the Chinese materia medica for the European Pharmacopoeia (March 2010 to 2014); Advisory Board of the Consortium for Globalisation of Chinese Medicine (2010 to Present). Prof. Nativ Dudai is a principal researcher and breeder in the Unit of Medicinal and Aromatic Plants in the Newe Ya'ar Research Center of the Agricultural Research Organization, Israel. Prof. Dudai works on acclimation, domestication and breeding of aromatic and medicinal plants and manages a big living gene bank for this goal. One of his main scopes is development and breeding elite varieties of aromatic plants for year round production. His sweet basil cultivars are leading and renowned in the production of the fresh cut herbs. His breeding concentrate also in the improvement of the health values of herbs by using classical breeding methods to manipulate their secondary metabolites content and composition. This approach has led to development of commercial products such as clary sage as new source of Omega 3 oil and rosemary with very high content of carnosic acid for the natural preservative products. He is also involved in research on the bioactivity of plants and their secondary metabolites, mainly the inhibition of germination and growth of plants by essential oils and their anticancer activity. Aromatic and medicinal plants, Bioactivity of plants and their secondary metabolites. Dr. Ajay Kumar Singh Rawat is a Scientist & Former, Head of Pharmacognosy & Ethno-pharmacology Division, CSIR-National Botanical Research Institute, Lucknow. His Area of specialization are - Quality assurance of Raw drugs, development of IPR covered scientifically validated herbal drugs, Cosmeceutical & Nutraceutical as per AYUSH routs under Drug & Cosmetic Acts 1948. He has developed several scientifically validated IPR covered herbal technologies/ products viz. BGR34 (Herbal formulation for management of Diabetes type II), Cough syrup, Lip care balm, Hand sanitizer, also developed quality monographs of more than 160 single raw drugs and SOP & quality parameters of more than 30 Ayurvedic formulations. Published more than 170 original research papers and filed 30 patents. Ten students got Ph.D. under his guidance and also supervised 40 M.Pharm thesis. He has received many awards and honors such as, recipient of Vigyan Ratna Samman by the State Govt. for best scientific achievements 2009, Zandu award on Best Plant drug Scientist, 2015, CSIR- Technology award 2016 for developing first Ayurvedic medicine for Type II diabetes (BGR34), Dr. PD Sethi awards on publishing best paper on HPTLC (Three times). Dr. S.K. Jain award (2016) for best ethno-pharmacological work, Fellow of Society of Ethno-botanists, Fellow of Ethno pharmacology Society, India and Vice President of National Society of Ethno- pharmacology, and life member of other Scientific Societies. 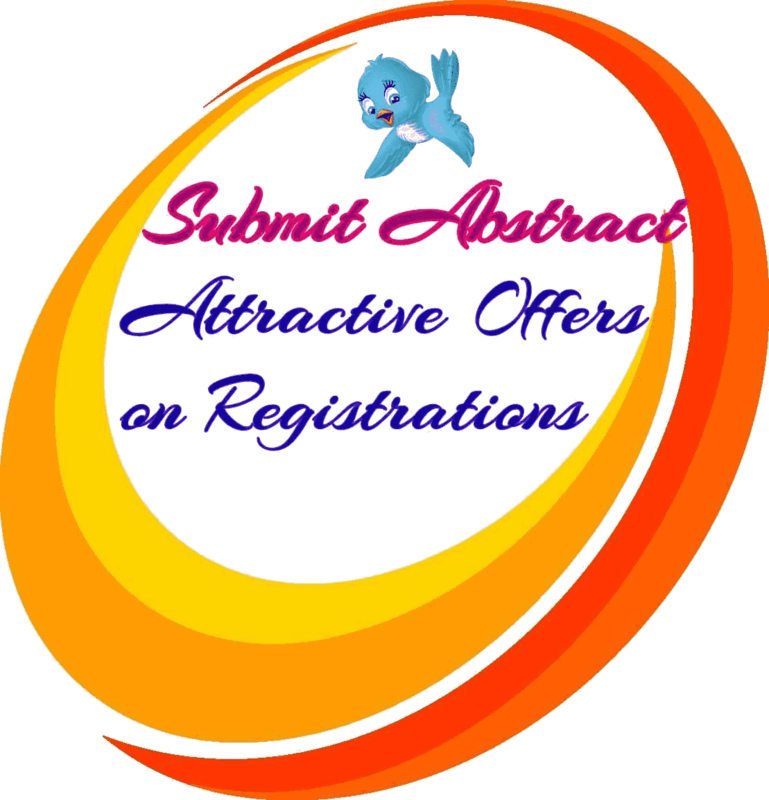 He has invited for delivering many lectures on his research area in different International seminars/conferences held in the Netherlands, Germany, Sri Lanka, Japan, China, Austria, Bangladesh and USA. Medicinal plant survey, Natural product development, Cosmeceuticals and Nutraceuticals. Lara Hanna-Wakim is the Dean of the Faculty of Agricultural and Food Sciences at the Holy Spirit University of Kaslik, (Lebanon) since 2013. She is the first scientist to represent the MENA Region as a regular member at the Governing Council of the International Union of Food Science and Technology (IUFoST) since 2014. She is nominated by the Lebanese Minister of Education and Higher Education as National Contact Point (NCP) for Climate action, resource efficiency and raw materials for the EU Commission within Horizon 2020 Framework Programs. She is the Focal Point for Lebanon of the Arab States Green University Network (ASGUN) at UNEP, and the National Food Safety Expert at UNIDO. She has been honored, at the Lebanese Parliament, as Women Leader in Lebanese Universities and Research Pioneers, by the National Initiative for the Centennial of Greater Lebanon. She has been honored as well by the Lebanese Minister of Agriculture to acknowledge her major accomplishments and outstanding leadership and performance, and for obtaining the American accreditation ABET for the Diploma of Agricultural Engineering at the faculty, the first in the MENA region. Dr. Hanna-Wakim holds an Agricultural Engineering Diploma from USEK (Lebanon), an MS in Quality Assurance from INAP-G (Paris, France), an MA/PG Diploma in Learning and Teaching in Higher Education from University of Chester (UK), and a PhD in Food Process Engineering from AgroParis Tech (Paris, France). Dr. Jian-Yong WU is an Associate Professor in the Department of Applied Biology and Chemical Technology at The Hong Kong Polytechnic University since 2004. His research program focuses on Food science and engineering, Functional foods, Bioprocess engineering and technology with medicinal fungi and plant tissue cultures and extraction and processing of food and medicinal products. He has published over 150 refereed journal papers and presented over 100 conference papers. He has supervised for 15 PhD and MSc/MPhil students. He is serving as an Editorial Board Member for Biotechnology Applied Biochemistry journal and he is also the guest editor for Anti-Cancer Agents in Medicinal Chemistry journal. Bioprocess engineering and technology with medicinal fungi and plant tissue cultures, Food science and engineering; Functional foods, Ultrasound-assisted extraction and processing of food and medicinal products and Green synthesis of nano-particles with biopolymers. Jong-Bang Eun is a Professor in the Department of Food Science and Technology at Chonnam National University in Gwangju, Republic of Korea. His research program focuses on food processing and preservation, food safety, functional ingredients/nutraceuticals and new product development in food. He has published more than 150 original scientific papers in peer-reviewed journals. He has been Vice President of the Korean Tea Society since 2008 until 2013 and was President of the Society from 2014 to 2015. He has also elected as a President of Kor. Society of Food Preservation in 2018. He has been directly interviewed by numerous media and scientific organization about his research including the KBS, MBC and Gwangju Times. He has been the Director of Functional Food Research Center of Chonnam National University from 2010 to 2015. He has been the Department Head of Food Science and Technology Department from 2000-2002 and 2014 to 2016. 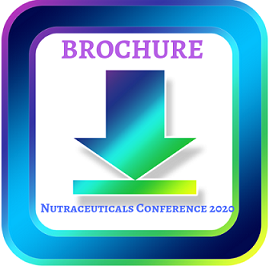 Nutraceuticals, Food safety, Food processing and preservation, New food product Development. Dr. Satyabrata Maiti has made a pioneering contribution in the area of medicinal and aromatic plants in India. He has developed two varieties and three hybrids of betel vine and also developed a variety of Centella asiatica named “Vallabh Medha”. His Betelvine variety, Bidhan Pan is very popular in West Bengal, Orissa and Assam. He has to his credit registration of eleven unique germplasm lines of Aloe, Tinospora, Safed musli, Kalmegh, Isabgol, Ashwagandha, Guggal and Centella. His other significant contributions are micropropagation protocols for large scale production of Aloe barbadensis, Chlorophytum borivilianum and C. arundinaceum. He has two patents on “Improved method of preparation of aloin” and other on “Improved gum tapping in Guggal”. His integrated crop management module incorporating crop, insect pest and disease management technologies has contributed to the sustained production of Betelvine. Dr. Maiti has over 140 publications to his credit including 110 research papers in national and international journals. He has published nine books and has been the founder editor of the Journal of Oilseeds crop (1983-1988) and Open Access Journal of Medicinal and Aromatic Plants (2008-2014). His contribution in developing DUS center for medicinal plants and GAP & GFCP certification guidelines are highly acclaimed by the country. He is also fellow of several professional societies such as FNABS; FIPS; FISOR and served as International Consultant of FAO (UN) in Afghanistan, Bhutan China and Thailand; International Consultant of ADB funded project in Bangladesh and International Expert of UNIDO in Egypt. Twice he led the India delegation in ISO/TC249 meeting in Durban, South Africa (2013) and Kyoto, japan (2014). In addition he has also visited Russia, Malaysia and Nepal in various capacities. His contribution in Integrated Development of Nangahar Province, Afghanistan (Govt. of India, Planning Commission, New Delhi, pp. 1-31), developing Strategic road map for Research and Development of medicinal, aromatic and dye plants in Bhutan (FAO) and developing national certification standards for GAP and GFCP of medicinal plants with the help of QCI are worth mentioning. His holistic contribution in the research and development of MAP in terms of institution building with modern perspectives and paradigms of management are highlights of his profession. He retired as Director of Directorate of Medicinal and Aromatic Plants Research, Boriavi, Anand, Gujarat, India after serving 15 plus years and currently. Crop improvement, crop production and pest management in Medicinal and Aromatic Plants. Dr. Geng Anli currently holds the President position in BioEnergy Society of Singapore (BESS). She is currently Assistant Director of Life Sciences and Chemical Technology of Ngee Ann Polytechnic. She is also the Co-founder and Director of Sunvisiae Biotech Pte Ltd, a Singapore-based industrial Biotechnology company. Prior to joining Ngee Ann Polytechnic, she was working at Institute of Environmental Science and Engineering (IESE) as a research scientist. Dr. Geng has more than 25 years R&D experiences, working extensively environmental biotechnology, green energy technology and industrial biotechnology. She has more than thirty journal publications and her work has been presented in many international conferences. Her current research focus at Ngee Ann Polytechnic is developing novel microorganisms for the production of industrial enzymes, chemicals and fuels, novel nutraceuticals and cosmetics ingredients. She obtained Ngee Ann Polytechnic Staff Excellence Award and IChemE Award on Sustainable Technology in 2012. Production of industrial enzymes, novel nutraceuticals and cosmetics ingredients.